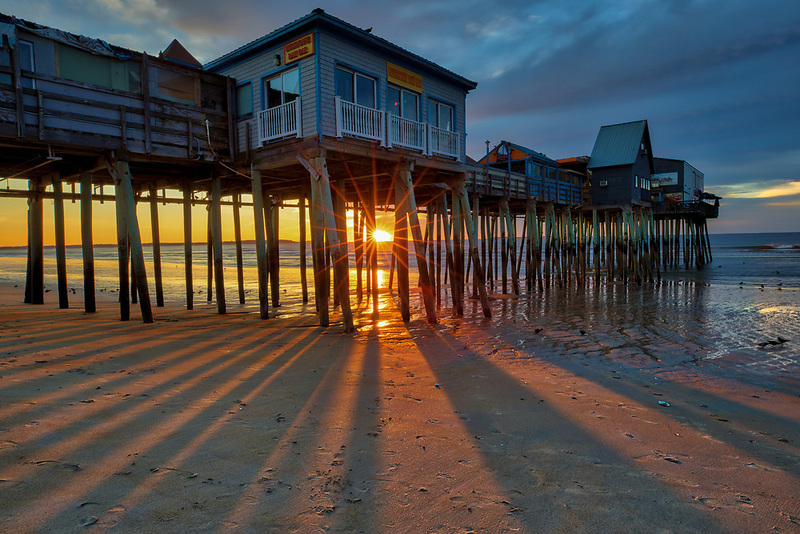 New England photography of a sunrise at Old Orchard Beach and its historic pier near Portland Maine. The sun was just crossed the horizon and created a beautiful sun star and rays. The long shadows of the wood pilings provided great leading lines into the frame.